Size of this preview: 527 × 599 pixels. Other resolutions: 211 × 240 pixels | 1,367 × 1,554 pixels. 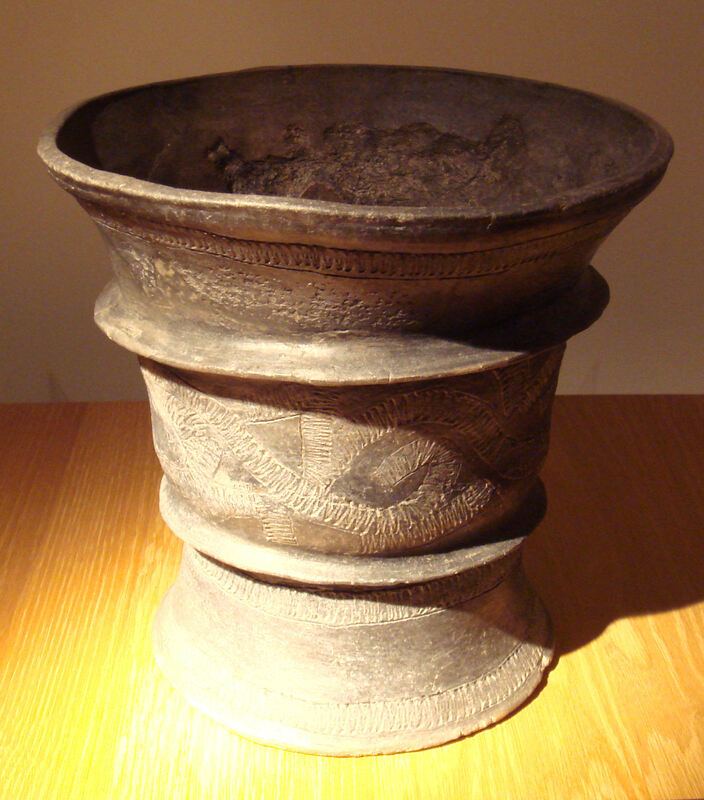 Description: Black Ceramic Ban Chiang Culture vase. 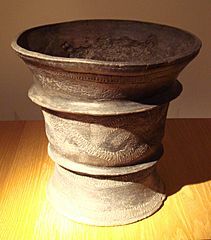 Thailand 1200-800 BCE.